Pierre Delforge “Orchids of Europe, North Africa and the Middle East” (2006) Nigritella nigra brought in genus Gymnadenia. 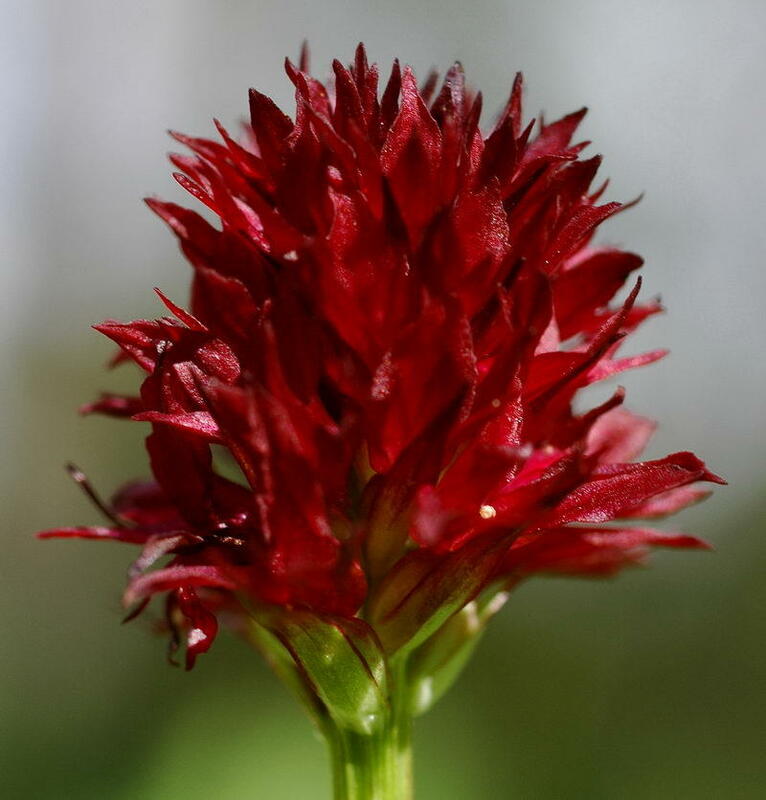 Sweden also Nigritella nigra and Gymnadenia runei which are endemic to Sweden. 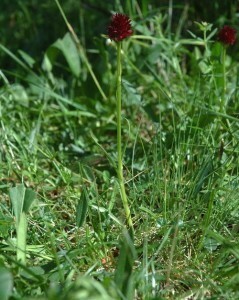 Both plants are in Sweden brought from the genus Nigritella to Gymnadenia and now Nigritella nigra in Norway brought to genus Gymnadenia. In Norway’s Gymnadenia nigra few places in the higher elevations north of Eastern Norway and South Trondelag. There is also an isolated occurrence in Nordreisa in Troms. Populations have been greatly reduced as a result of modern agriculture where hayfields the old way on mountain pastures and the outlying areas is a thing of the past. The plant is a protected species and today are areas with these plants protected. It is taken care of through nurturing old hayfields to prevent overgrowth. Sorlendet nature reserve at Roros and surrounding areas are one of the most important habitats throughout their range. At Storinnsjøen (a lake) in Kvikne in Tynset is another large population which in 2007 had 705 flowering plants. The plant grows up to 25 cm high, narrow leaves that clothe the stems and ends in a tight red-black flower head. The flowers have vanilla-like smell, and locally it has also been called chocolate bloom. In bright sunshine the flower seems to be more red than black. Does not resemble any other Norwegian orchid and kinship with Gymnadenia may seem distant for an amateur botanist, but both have similarities in lip position. An action plan for conservation prepared by the Directorate for Nature Management (DN).